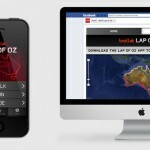 distriqt was recently brought on to develop the mobile and Facebook applications for the Bolle "Lap of Oz" campaign. AUSTRALIANS LOVE TO LAP THINGS. BOLLÉ'S LAP OF OZ IS THE FIRST VIRTUAL LAP OF AUSTRALIA EVER RECORDED. EVERY TIME YOU WALK, RIDE OR CYCLE USING THE LAP APP, WE'LL ADD YOUR DISTANCE TO A LONG CONTINUOUS LINE AROUND OZ, OVER 15,000 KILOMETRES IN TOTAL. The campaign involved a competition run through the specially developed mobile application, where users would activate the Lap of Oz app while walking, running or cycling and have their distances contribute to a communal lap of Australia. Users' entries were displayed through an interactive map on the Facebook application page, and plotted along the total route of the lap of Australia along with the user's profile image and the distance they contributed. Working with Melbourne creative studio Marilyn & Sons, we built and managed the implementation of mobile apps for iPhone and Android, along with the web-based Facebook application. The back-end system runs on Ruby on Rails through the Heroku platform. Rails + Heroku was a great fit for what we required to power the application as it allowed us to quickly develop a REST style API and easily manage scaling of the server requirements we needed. Check out the Facebook app here, or search the App Store or Play Store for "Lap of Oz"! 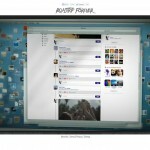 Our latest project has been a big one, and took a year of development, finally being released to the public in late 2012. 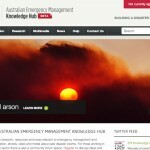 The site is a knowledge hub for Emergency Management and disaster resilience in Australia and is called the Australian Emergency Management Knowledge Hub. 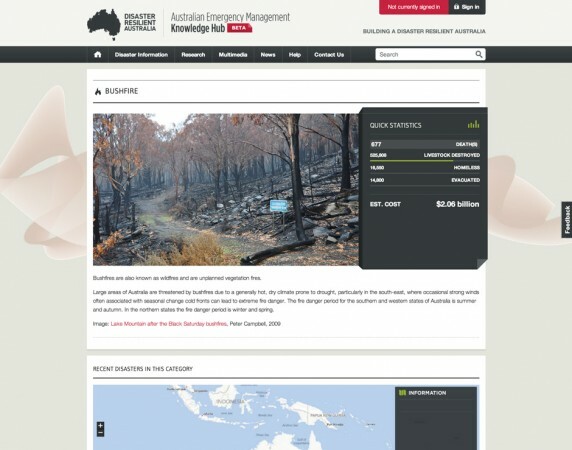 Developed for the Australian Emergency Management Institute (AEMI) (part of the Attorney-General's Department) the project was a challenging but rewarding experience. The Knowledge Hub provides research, resources and news relevant to emergency management and includes statistics and information, photos, video and media about past disaster events. For those working in the emergency management sector there is also a community forum space. There are several major components of the project. The most prominent is the front end website, which was developed using umbraco, a great IIS based CMS. This allows us to provide an amazing amount of flexibility in what we present to the visitors of the site, while still allowing an editor to easily update and edit the content on the site. A blog, and a forum were added to allow members to interact with the disaster resilience community. 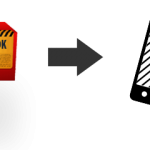 The second important aspect of the site is a database of resources including disaster events, media and research documents. All these resources have been made easily editable through the umbraco backend and a completely searchable interface added to the front end. 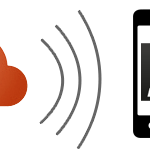 Importantly visitors can create a report of their searches summarising the resource information in the search, allowing researchers to filter the data and investigate the disasters, statistics and related resources. Lastly we developed a highly interactive mapping application allowing users to visually explore and interact with the disaster events database. 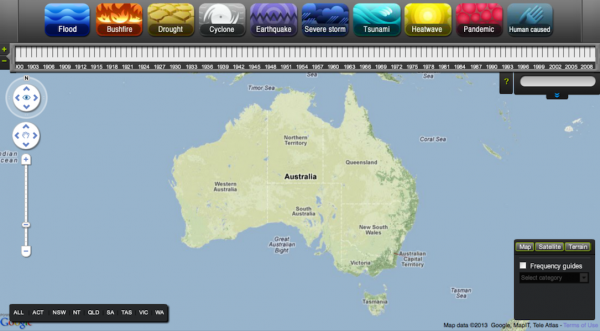 Similar to some of our previous projects, this application allows a user to scroll through time by use of a timeline component to visually change the data displayed on the map. See the work here: emknowledge.gov.au.